A leader in the advertising specialties industry since 1990, Davis Embroidery, Screen Printing, and Promotional Products builds lasting relationships with clients one brand at a time. With showroom, corporate offices and most of our manufacturing taking place in the heart of Ketchum, Idaho – in the resort town of Sun Valley, Idaho – the professionals at Davis Embroidery, Screen Printing, and Promotional Products offer not only superior customer service but also competitive pricing yielding a better return on your investment in your corporate identity and marketing. With connections to over 3000 suppliers, Davis Embroidery, Screen Printing and Promotional Products offers the quality of Cutter & Buck, Carhartt, Dickies, Dri-Duck, Port Authority, Nike and more. When it comes to support for your brand marketing, Davis Embroidery, Screen Printing, and Promotional Products is the right solution for advertising specialty items supporting your business and leaving a lasting impression on your clients. 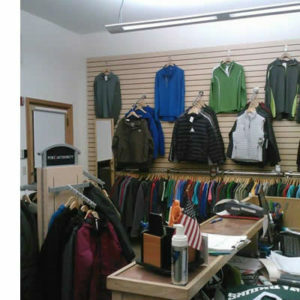 Whether it’s for embroidered uniforms, hats or jackets, screen printed beverage ware, t-shirts or caps, or an advertising specialties item or promotional product representing your brand, our staff ensures a quick turnaround meeting budget, expectation and need. Our mission is to build lasting relationships with our customers through superior service, quality products and competitive pricing. Visit our showroom – 270 Northwood Way, #104 in Ketchum, Idaho, Monday- Friday from 9-5pm. To speak with one of our representatives, simply call: 800-568-1948 or email us at customerservice@davisembroidery.com.